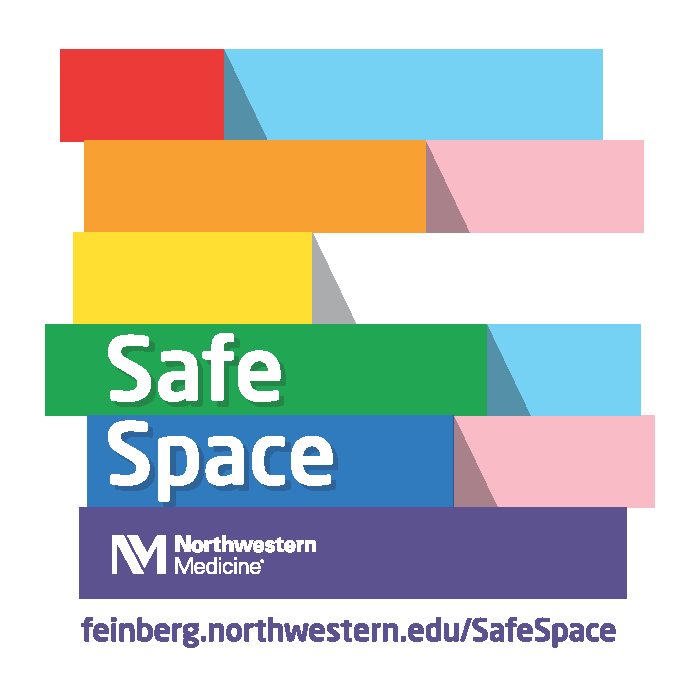 The Feinberg School of Medicine’s Safe Space Training has been expanded and updated through a partnership between the Office of Diversity and Inclusion, the Queers and Allies student group, the Gender and Sexuality Curriculum Taskforce, and the Department of Medical Education. The Safe Space Program is an initiative to educate allies who support LGBT individuals in our campus community. Unlike more visible under-represented groups, LGBT persons cannot be readily identified. Likewise, there is no easy method of finding persons supportive of LGBT people. The Safe Space Training program strives to educate allies and provide a way for allies within the Feinberg community to prominently identify themselves. The program advances Northwestern University's goal of creating a campus community in which everyone is treated with respect and dignity. A safe space for LGBT people is not about protecting community members from dissenting viewpoints or difficult conversations, but about making sure that everyone functions in an environment of tolerance and mutual respect. This training effort is not trying to create a separate safe space for LGBT individuals, but make the entire Feinberg community safe. The LGBT Safe Space Training program has two components:  An online introductory module and  and in-person workshop. Both are approved for AMA PRA Category 1 Credit™. NOTE: The Safe Space Training program is focused on creating a safe space for LGBT students, trainees, staff, faculty, and other community members. Currently, it does not present topics or skills directly related to caring for LGBT patients. The introduction to Safe Space Training Online module discusses the LGBT world experience, basic definitions and use of terminology, and applying skills towards creating a safe space for LGBT community members. Demonstrate a basic understanding of terms used to describe sexual orientation and gender identity. Describe how LGBT world experiences require community members to actively create a safe space. Apply skills to create a safe learning environment for members of the LGBT community. The online module lasts approximately 25 minutes and this activity has been approved for 0.5AMA PRA Category 1 CreditsTM. Use this link to access the online module. The next Safe Space Training In-Person Workshop will be held on December 3rd, 2018 from 1-3 pm. Please register using this form. The Safe Space Training In-Person workshops builds on the topics explored in the online module. Participants will have the opportunity to ask any questions from the online module, engage in activities that demonstrate the LGBT world experience, and practice the skills needed to create a safe space. The target audience for the workshop is Feinberg’s medical educators, staff, and students. The learning objectives for the workshop are identical to the learning objectives for the online module (see above). The in person workshop lasts approximately 2 hours and is approved for CME credit (see below). The Northwestern University Feinberg School of Medicine designates this live activity for a maximum of 1.5AMA PRA Category 1 Credit(s)™. Physicians should claim only the credit commensurate with the extent of their participation in the activity.